Do you remember learning how to read words in italics? I sure don't! I think I figured it out on my own at some point. One thing I do remember is my first year as a reading teacher. 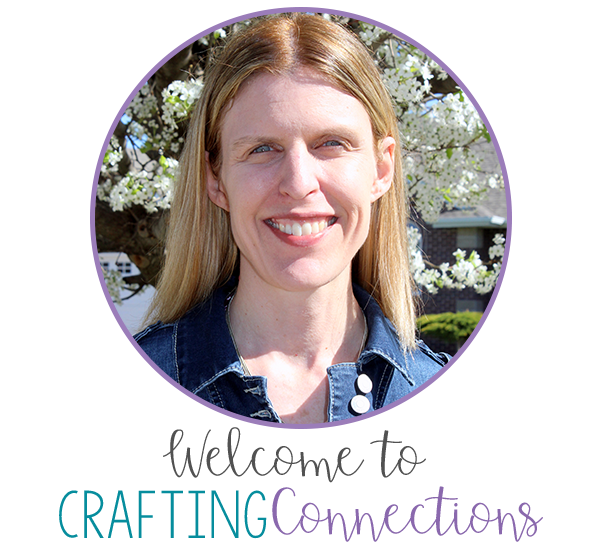 I was assigned to work in fourth and fifth grade classrooms, and I began the year with administering Benchmark assessments to each and every fourth and fifth grader. It was eye-opening, and by the time the last Benchmark was given, I was beyond excited to start teaching guided reading lessons based on what I observed during the Benchmark assessments. I was surprised to discover that one reading behavior in which the majority of fourth and fifth graders needed direct instruction was a lesson on how to read words written in italics! During the Benchmarks, most students plowed through words in italics with no change in intonation whatsoever. How did I teach this lesson? With an anchor chart, of course! 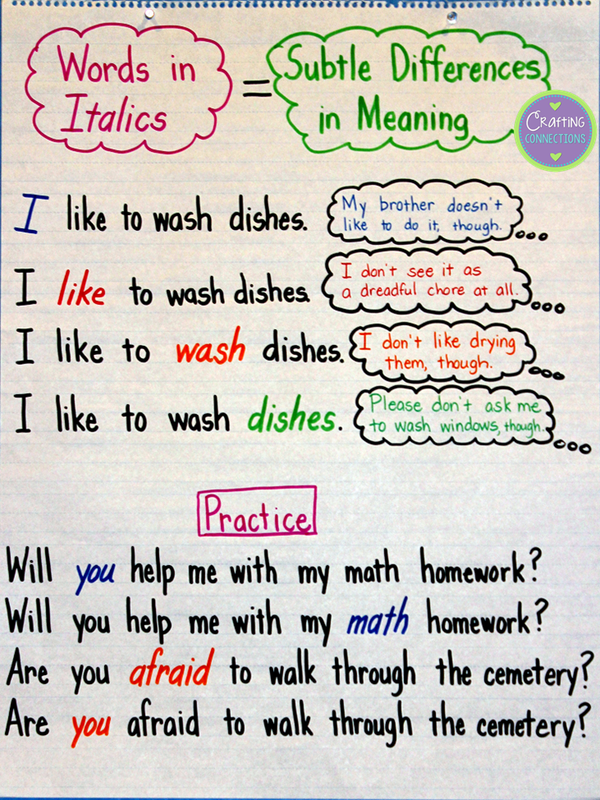 :) At the beginning of the lesson, the thought bubbles are not on the anchor chart. I begin by telling students that when they see a word in italics, they need to stress that word, or say it with a little more force than the surrounding words. Then we practice reading the sentences at the top of the anchor chart with the correct intonation of italicized words. Next, I ask my students to infer why authors write words in italics. I help them come to the conclusion that authors use italics to help us readers comprehend what they or their characters are thinking. Furthermore, the same can be said for us! When we speak, we stress certain words in hopes that the listener will know exactly what we mean when we say something! We return our focus to the anchor chart, and I have my students help me determine the exact meaning the speaker is trying to convey in each of the top four sentences. This is when I add the thought bubbles, based on our conversations. The lesson concludes after students have had an opportunity to practice reading aloud the sentences at the bottom of the anchor chart. This lesson doesn't totally and immediately erase of the problem of students ignoring italics, but it seems to be a good start! If you are interested in providing your students with another practice opportunity, feel free to check out my italics strips, available in my TpT store. 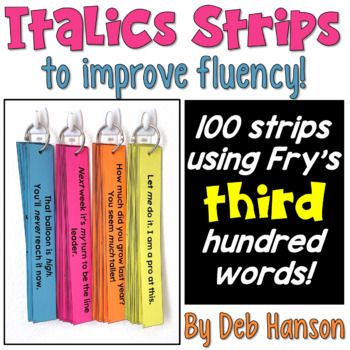 I have strips for each hundred set of Fry words, 1 - 1,000 so that there are sets available for all elementary grade levels.